Good day! Tell us about your astrology app! 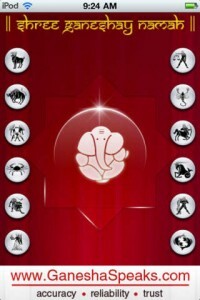 GaneshaSpeaks.com brand App is designed to be a one-stop-solution for all the major Astrology requirements of the users. Users can get their Sun Sign based daily, weekly, monthly and yearly predictions, read blogs/ articles on Astrology, refer to predictions on upcoming events, sports, films and stock markets, access free Horoscopes like Birth Star Report (telling which constellation was in force when a person was born), Kundali Matching (a Vedic Astrology system that allows people to check their probable compatibility) and much more. The GaneshaSpeaks.com App is unique in the way that it now brings an amazing feature to its users – the Star Guide – which is a complete, one-of-its-kind Astrology solution and reference. With the Star Guide, in short, the users get the power of future, the ability to plan and prepare in advance and the peace that comes with knowing that they are in control. It provides instant yet personalised predictions (based on the user's birth date), along with many other interesting and useful features, including an Energy Meter – that tells at which level a person's various capabilities and faculties like intellect, emotions etc. would be functioning on a given day – and a special Day Guide – that is designed to tell the user the suitability of various tasks during each working hour of a day. 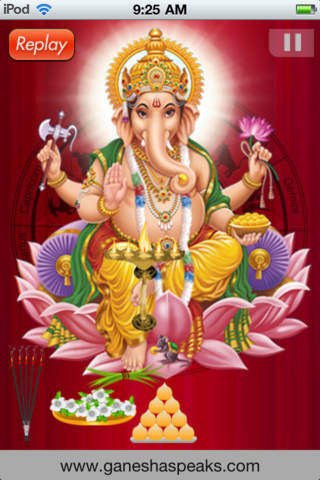 Mr. Bejan Daruwalla's, one of the most widely read astrologers in Asia, is associated with GaneshaSpeaks.com. His core team of astrologers has been employed here, and they handle all the astrology related activities including guidance and training. Mr. Daruwalla has pledged his 'Astrological Legacy' to this GaneshaSpeaks.com team to ensure that his style of Astrology continues to flourish. Who is on the team and what are your roles? Mr. Hemang Arunbhai Pandit – CEO of the organisation plays a key role in conceptualisation, design and even execution of most projects and endeavours. He takes personal interest and spends time with content, design, Astrologers and tech teams for streamlining various aspects of a project development. Mr. Vishal Patel – heads the IT development initiative, and works at all the tech-development and design for our Apps and other endeavours with his team of software developers and engineers. 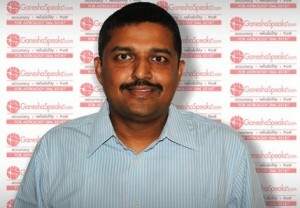 He and his team developed tech functionality of the UI for the current version of the GaneshaSpeaks.com App. Mr. Bhavesh N Pattni – is our Chief Astrologer, and is responsible for conceptualising and generating all Astrology content, along with his team of Astrologers – including senior Astrologers – Mr. Tanmay Thakar, Mr. Dharmesh Joshi and Mr. Malav Bhatt. The team is also responsible for processing/ answering all the queries and personalised reports, requests for which are received via our website/ Apps. Ms. Ritu Batra – heads of Content arm. She, along with her team of editors and writers, primarily Ms. Gini Shah and Mr. Rohit Joshi, is responsible for conceptualising, writing, re-phrasing, checking and editing all the content material relayed in any form from the organistation/ website/ Apps/ Social media. The team actively worked on writing and editing the content for our App, and also on creating the support text for our brand App. Mr. Raxit Desai – heads the Business operations in our organisation, and currently takes care of the telecom business and VAS operations, various marketing endeavours and feedback/ testing of the Apps. He is also involved in the App conceptualisation process. Mr. Gaurang Pandya – heads our Partnerships, and formerly also took care of our telecom segment and call centre operations for the short code 55181, which is integrated with all leading telecos in India, including Vodafone for providing live astrology consultancy services on phone 24X7. Mr. Mayur Soni – is our main Designer, involved in the designing of the current version of GaneshaSpeaks.com brand App. He, in close conjunction with Mr. Pandit, conceptualized and created the user interface design of the App. He also worked in close conjunction with other designers Mr. Ejaj Belim and Mr. Mit Parmar to create the final templates of the App design. Mr. Amit Gurav – is our web-marketing specialist. Besides, he is also actively involved in content SEO, generating and collecting design feedback, maintaining the website function, marketing endeavours, performace measurement of initiatives etc. Mr. Sakib Pathan – is our desk top operator, and a versatile human resource, who contributes to our development projects in myriad ways. How is GaneshaSpeaks different from similar apps or competitors? 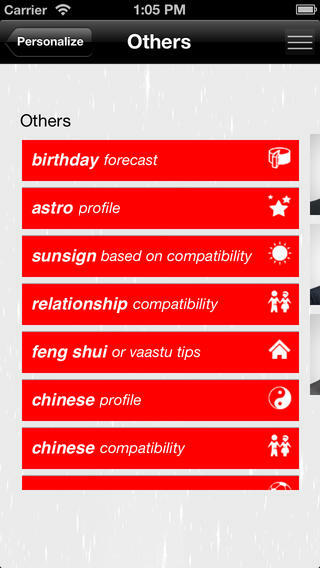 Our App is supposed to be an astrology orientated person's delight! Along with the customary daily, weekly, monthly and yearly predictions, it has a lot of content, which is focused on Sun Signs, their preferences, likes, dislikes, so on and so forth. One unique feature in the App is the Star Guide. Star Guide gives you an overview of a person's day, key events, the Energy Meter and Day Guide – and all the calculations and analyses are basis one's Birth Date, done using the proprietary mathematical algorithms developed by our expert astrologers. People can use the Star Guide to plan their day and important activities. Tell us about the app icon and logo. 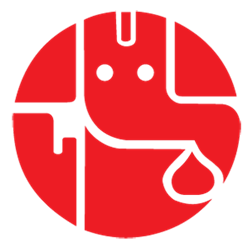 GaneshaSpeaks Logo is an integral part of our brand image. People recognize us through this logo, and by the grace of God and thanks to the image we have created over the years, this logo is quite popular. Hence, the App Icon is also derived from our logo. Besides, we wanted to keep it simple and easy to understand for our user base, which is spread across the world. What tools assisted you in building the app? In the App world one has to constantly come up with creative ideas to keep the App relevant and interesting. We are inspired by the amazing Apps available in the market today – and also use the Operating Systems and their requirements as guidelines. Various communities and interactions with the experts in this field have motivated us to come up with our signature App, which is built on the Android SDK platform. What lessons did you learn creating the app? Working for an App was relatively newer for our tech, content and design teams. We needed crisper support content, simpler, fuss-free designs and a different tech back-end. As we went ahead with the process of accomplishing all this, we came across a plenty of roadblocks, and we learnt many lessons in the process of overcoming them. When it's about devices, a smartphone is much less endowed or so to say allows for different abilities than a PC. So, when we develop an App for an Android platform, we have to keep in mind the relative limited ability, and work around the same to produce an App that would provide all the content and services as our website, but would also be easily accessible and usable from a smart device. Plus, the consistency of look and feel, and use on a backdrop of a wide variety of configurations is a challenge one has to constantly work around while developing an App. What went right and wrong with the app release? There was a period during which we would go two steps forwards and four steps backwards. But, the good thing is that we are a team of enthusiastic people, and the positive energy kept us going despite the setbacks. There were a plenty of lessons to learn from – mostly from our failures, and we always tried taking them in our stride. We learnt from our mistakes, took criticism in our stride and made necessary changes in the App, design, tech-end. The honest feedback that we got from our internal and external users has greatly helped us give the App the right kind of look and feel – and come up with updates. We released the App when we thought the right time had come – and it was complete enough to showcase it to the world. What were you doing prior to GaneshaSpeaks? I have always been interested in experimenting with novel concepts, and in all humility, I would say that GaneshaSpeaks.com is a fine example of that. I am an engineer, I guess I have it in me to create, build stuff. Team GaneshaSpeaks comprises of people from different walks of life, but the difference in their cultural and social backgrounds, instead of becoming a hurdle, has always brought us closer as a team. As the CEO & MD of the company, I ensure that we continue to work towards the common goal and everyone takes accountability for their work and performs their functions to the optimal. Before we started developing the GaneshaSpeaks App, other Smart Apps and the Star Guide, our most recent service, a unique reference guide based on Astrology – we were (and still constantly work) on creating, managing, bettering and maintaining our website GaneshaSpeaks.com – that incidentally is world's #3 and India's #1 Astrology services provider. We also run a successful Astrology based VAS service and partner with leading telecom operators in India to provide 24x7x365 live Astrology consultancy. An App is a great way to reach out to people and improve one's brand awareness. But we definitely didn't want to join the bandwagon, and be in the market in a jiffy. We took our time, got the right kind of people involved and created this App. What are some of your other favorite apps? Well, I am quite inspired by most of the social networking apps – they have become a part of our lives. I use WhatsApp and similar instant messaging Apps quite often. E-mail apps too have become an integral part of my life, as they keep me connected with people all the time. Google Maps App is also something that I commonly use, especially when I am traveling. At work, we also frequently look at various IOS and Android Apps to seek inspiration. Head over to Google Play to download GaneshaSpeaks. Hey you app devs! Wanna be featured like our friends at GaneshaSpeaks? Be sure to check out http://www.powerslyde.com/get-discovered.